With this plugin, you can create a curated social shop driven by your Instagram account, linked to your Woocommerce products. Create a beautiful Instagram shop where you would like to highlight featured products linked to one of your amazing Instagram images. Each entry has a hot link on the image so your customers can see the product used in real life. You can add as many products as you like. And with the ajax driven add to cart feature, adding products to your cart, is a simple click away. It also supports variable products which will be shown in a popup window so your client doesn’t have to leave the page. 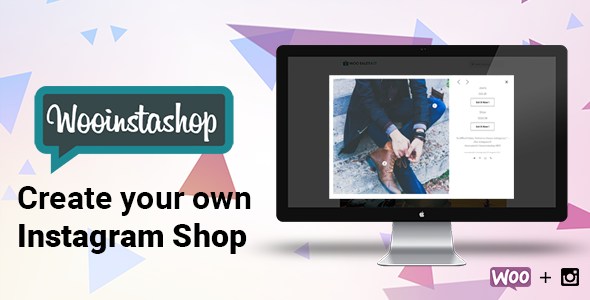 Drive your Instagram traffic to your Instagram shop using your bio with a link to your Woocommerce Instagram shop. You can also link to individual entries, so sharing on other platforms like Pinterest is made easy.